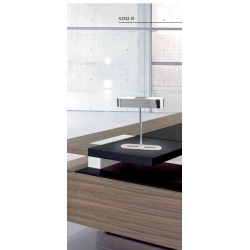 Kitchen There are 100 products. 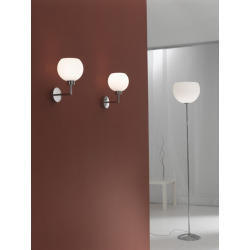 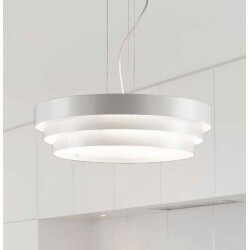 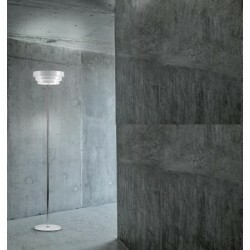 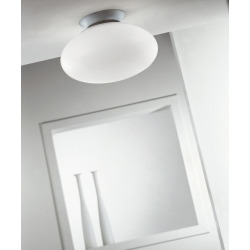 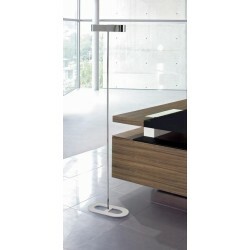 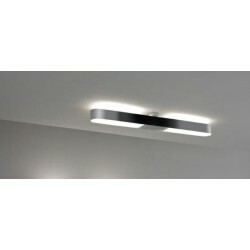 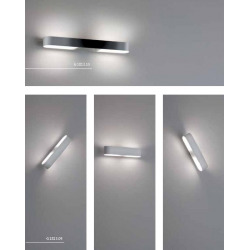 Pendant LED Lamp mixed light (diffused above and direct below). 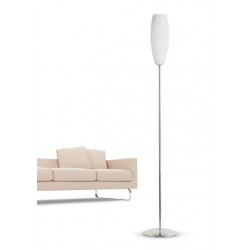 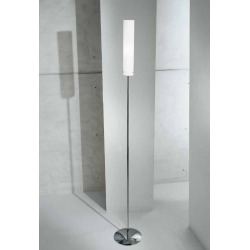 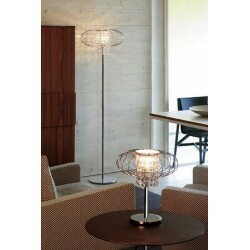 The Spotlight is made of metal folded giving life to an elegant play of light peek-a-boo, available white painted. 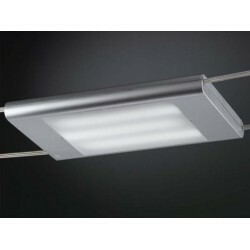 Included with the purchase 1 or 3 low-energy Fluorescent Bulbs E27 (Energy Saving). 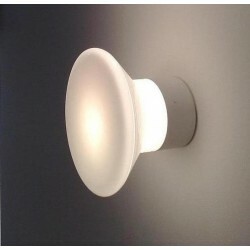 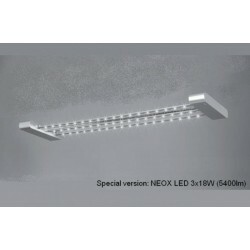 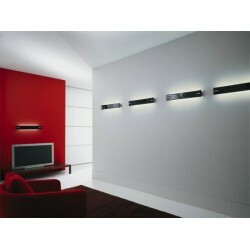 Even with LED lighting SMD multi-chip natural white light. 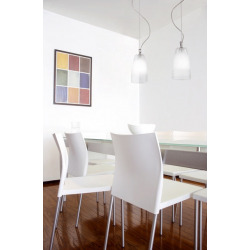 Lamp with two pendants a diffused light. 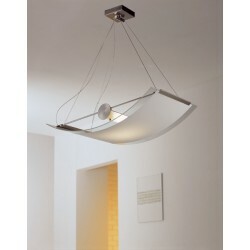 Chromed metal structure, blown glass Transparent with Satin Belt. 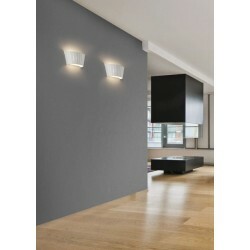 Included with the purchase of 2 light bulb E27 (energy saving).